When French beauty house, Clarins opened in 1954, few realised that its founder, Jacques Courtin-Clarins was an early wellness warrior who took an holistic approach to skincare, which was ahead of its time. It was a philosophy that would come into vogue decades later. 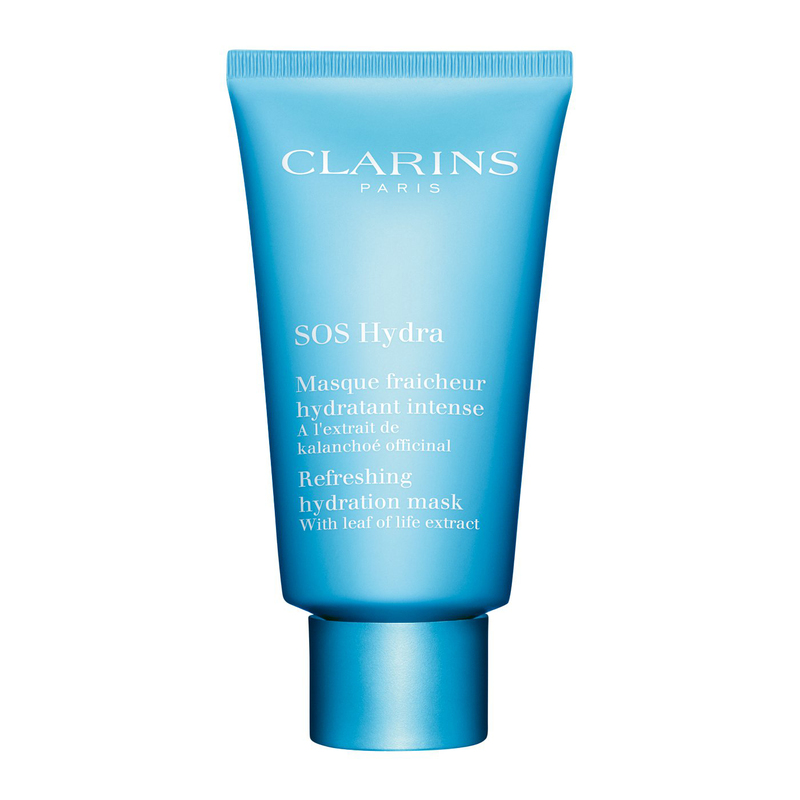 SOS Hydra Refreshing Hydration Mask With Leaf of Life Extract is a 10-minute moisture fix for dull, tight, thirsty skin. Leaf of Life, is native to Madagascar where it’s renowned for its healing properties for all kinds of conditions. Here it’s super-quenching qualities smoothes fine lines, soothe irritations and revives radiance. You’ll enjoy using this refreshing cream-gel formula, which enhances skin with a healthy-looking glow. Contains organic leaf of life extract to help power the skin’s natural hydration and hyaluronic acid to retain moisture. A highly refreshing cream-gel to help balance skin’s moisture levels in just 10 minutes. Remove with a soaked cotton pad.